I’m sorry it took so long to get this done, but apparently Spring Break and exams screwed everything up for a lot of sub groups. I couldn’t even finish Vampire Bund until Funi’s stream came out. That’s how slow a lot of releases have been. I promise that I never forgot. Anyway, having finished several shows I’ve watched this season and a couple from Fall that just ended, it’s time to throw out my opinions on the completed series. Pretty unexpected, since neither has finished airing. I don’t have a whole lot to comment on here. BakaTest is definitely a purchase for me, maybe even a pre-order, depending on when I buy my usual round of stuff at Right Stuf. If you haven’t seen it yet, do yourself a favor and go watch it. It’s one of the best shows I’ve seen in a while. I do hope that “Baka and Test -Summon the Beasts-” isn’t actually the final title, though. It’s an incorrect/incomplete translation and it doesn’t sound as good as “Idiots and Tests and Summoned Beings/Beasts/Monsters/Whatever.” Vampire Bund, on the other hand, hasn’t really been worth a purchase so far. Unless the remaining episodes absolutely blow me away, I doubt I’ll be buying it, at least not immediately. I may instead opt to pick it up when the price drops or if it goes on sale. 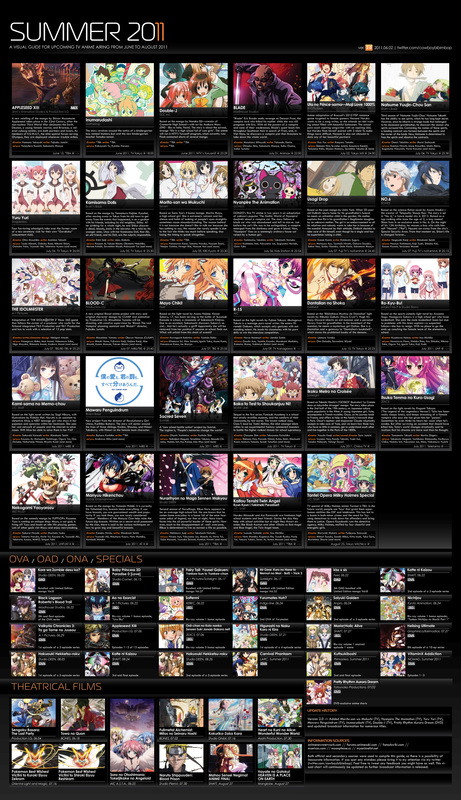 Nice acquisitions on FUNi’s part, but again, a bit disappointed that there is no Higurashi Kai license. And they already lost Toradora. 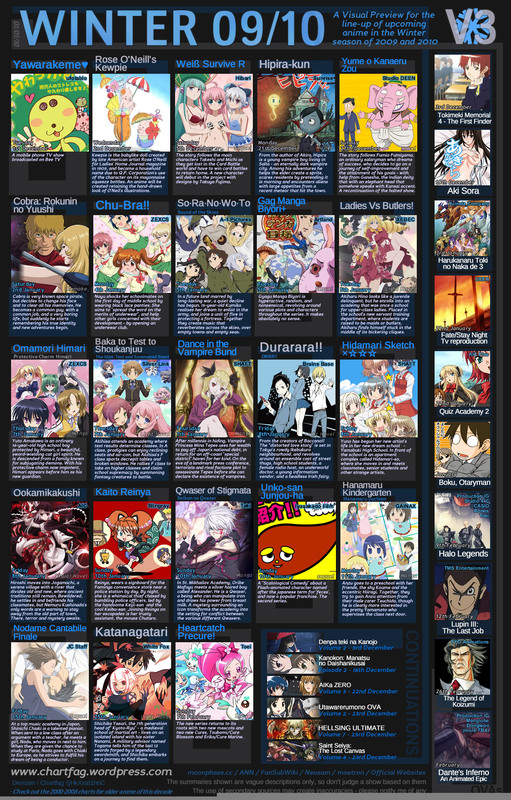 FUNi’s not doing half bad this year, but they’re dropping the ball on a lot of things people actually want. Here’s to hoping the rest of the con season plays out with some more good news. 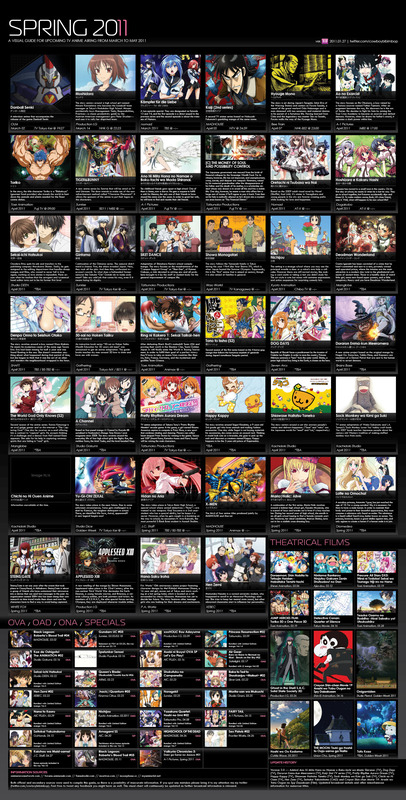 I finally sat down to watch a bunch of the 2010 anime that I meant to watch. Actually, since I put it off, I got to watch two episodes of a few things. The only one I didn’t sit down to watch yet is Dance in the Vampire Bund. I’m still waiting on a few volumes of manga to come in from Right Stuf and I want to make sure that I’m up to date on the current U.S. releases before I start watching. I’ve heard that so far it’s more of a retelling than an adaptation anyway, but some similar events happen and I don’t want to spoil myself ahead of time. And now that we have explanations out of the way, on to the impressions. 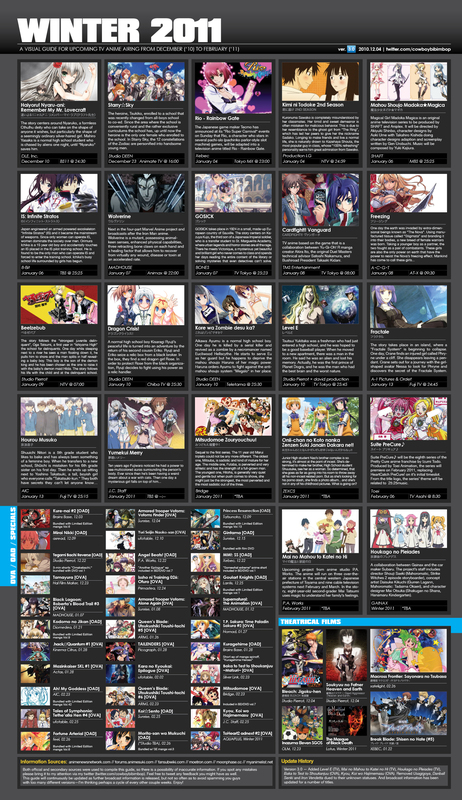 So the third version of the Winter 2010 anime chart is apparently out. This is as good an opportunity as any to discuss the season, which has technically already started. Now here’s the thing: For the longest time, I’ve been away from the fansubbing thing in general. Most of the anime I’ve watched over the last couple of years has been stuff released on DVD that I had some degree of familiarity with, either from watching the series in subs long before or by having read the manga. It’s only recently that I’ve gotten back into it as a result of having so much free time on my hands at work that I started actually reading a forum that I pretty much just lurked at for a handful of subjects before. This will probably be the first season that I’ve really been back into fansubs for since 2005 or so. So let’s see what’s on the table, shall we? Chu-Bra!! – I don’t know if this will be worth a crap. I figure it’s worth at least watching one episode, just to see what the hell it’s about. I have zero familiarity with this series. So-Ra-No-Wo-To – Definitely watching this. “K-ON! at war” pretty much sums up what it looks like. Literally. Someone in the anime production staff got pissed when someone said it looked like K-ON!, but you can’t deny the similarities in design. It’s scary. Anyway, it looks like it could be a good watch. Baka to Test to Shoukanjuu – Don’t know much about this one. The manga caught my eye in scanlations, but I’m not a big reader of scanlations, so I don’t know if I’ll ever get around to reading it. Seems interesting enough, so I’ll give it a shot. Dance in the Vampire Bund – This is the big one I’ll be watching. I’m more hyped for this one than any other. I recently started buying the manga, but haven’t actually gotten around to reading it yet. I hear nothing but good things and what little I have read by skimming through and in plot summaries seems really interesting. Plus, it’s a SHAFT series. SHAFT is awesome. Durarara!! – Never watched Baccano! !, though the dub is apparently amazing and it’s on Hulu. It’s on my to watch list. Durarara!! seems to be drumming up a lot of interest from people, though, so I guess I’ll see what it’s all about. Ookamikakushi – Don’t know squat about this. Apparently it wasn’t a great VN. What I do know about it, though, is that it was written by Ryukishi07, the guy in charge of Higurashi and Umineko, and that apparently PEACH-PIT was involved in character design. Seems like a winning combo, so I’m not sure how it didn’t do so well. I’ll be going into this one with a fair degree of curiosity but fairly low expectations. Past these, I’m not really that interested in much. Anything else I pick up will be entirely based around hype and recommendation after the fact. I would consider the Fate/Stay Night movie, but I haven’t read the VN yet and I heard the TV series was a wonderful bastardization of it, so I really don’t know much about the series yet. When/if I get around to reading it, I’ll definitely give the movie a shot. Anyway, that’s it again. Maybe I’ll go longer than a few hours without posting something new this time.